From extravagant weddings to theme parties, Designs Unlimited can provide the plant rentals you need to give your special event that special touch! We deliver that elegant colorful touch for all of your special events! We provide plant rentals and floral accents for weddings, graduations, and theme parties, as well as special corporate events, including seasonal and holiday displays for hotels, shopping malls, and country clubs. Our creative floral interpretations are perfect for theme parties. Topiaries, Ficus trees (available with lights), palms, bush-type plants including Peace Lilies (Spathiphyllum) and huge Sprengerii ferns are all growing in our greenhouses waiting for your event. Weddings: We can provide all of your plant and floral needs for your wedding and reception. Whether your event is in a church, hall, tent, or even outdoor location, having just the right plants to accent your location can make all of the difference in creating a class-A event. 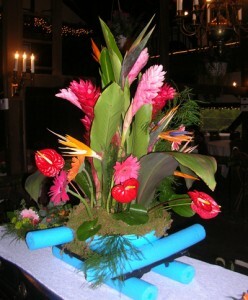 Theme Parties: You choose the theme, we will provide the perfect plants and arrangements to make it perfect! Tropical/safari themes, western themes, pig roasts and luaus, holiday themes… you name it, we can design it! Recently one of our customers had a party for their employees’ ‘Winter Getaway’ event. Fresh floral arrangements were designed for the table centerpieces in small suitcases with five destinations in mind: snow/skiing, beach, safari, cities, and casinos. Globes decorated other tables and were a huge hit! Seasonal and holiday displays: From residential holiday parties to large-scale seasonal displays, we can outfit your event with all of the plants and decor that you need. 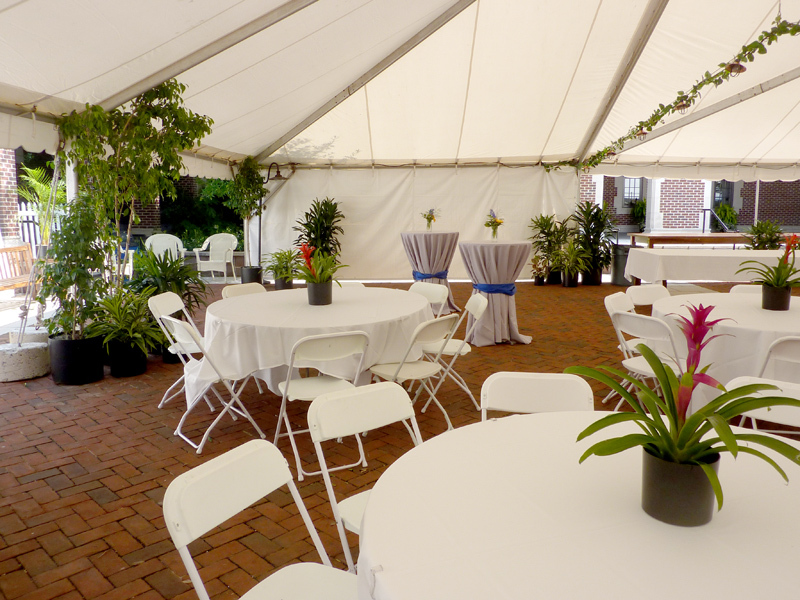 We take care of all of the plants and trees for your event, so you can focus on the rest of the planning.